Back in 2010 I attended the “Thy Will Be Done” art show and met Michael "Buck Wild" Ramirez. I was instantly drawn to Michael display and was memorized by his talent. 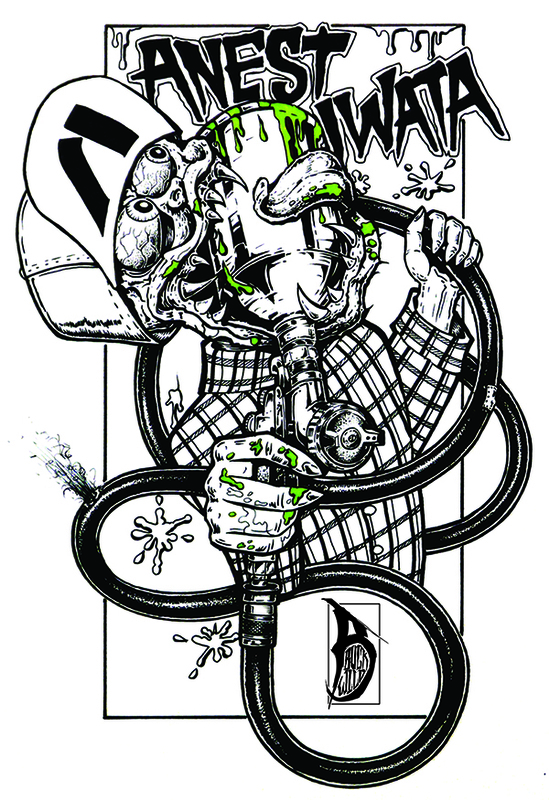 Buck is a well-known artist who surrounds himself with like-minded folks and enjoys creating art. 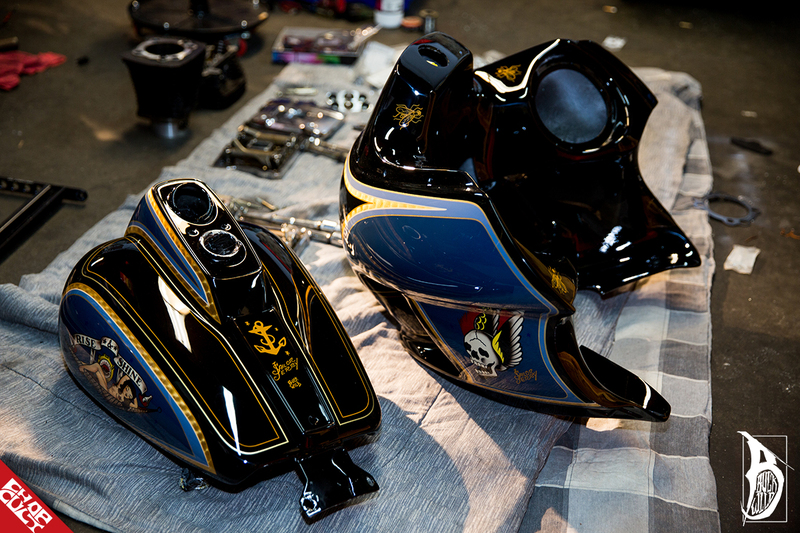 Buck joined forces with Chris Richardson of LA Speed Shop to produce killer paintwork for a few Sailor Jerry collaborations. 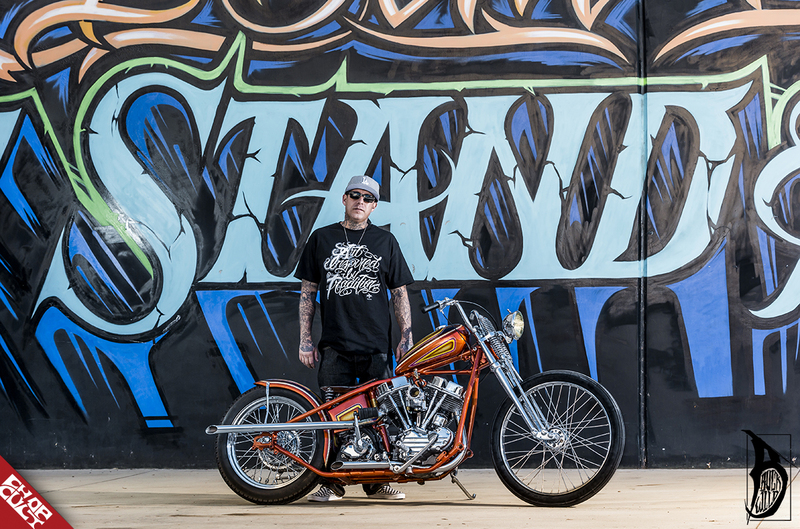 He was also one of 10 featured artists chosen for Throttle Addiction's Born-Free 8 Art & Fuel exhibit. 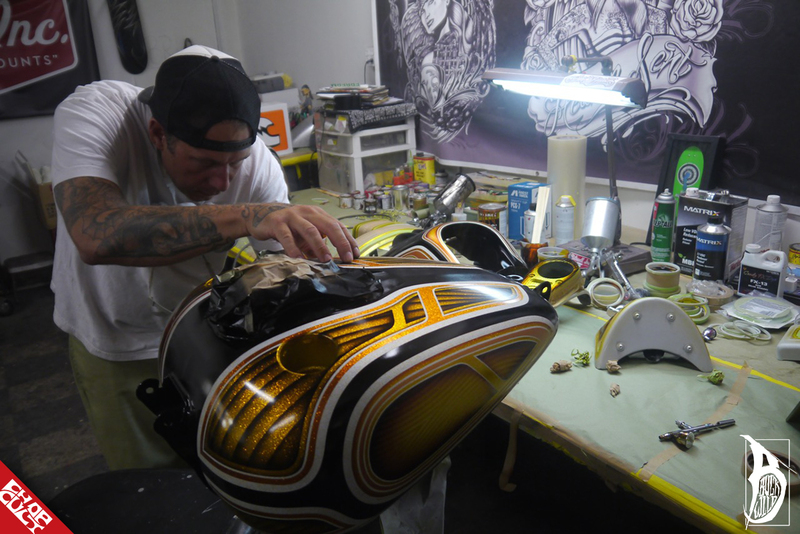 Buck also worked with Trevelen Rabanal and painted Trev’s 'No Name Chopper’ for Born-Free 7. 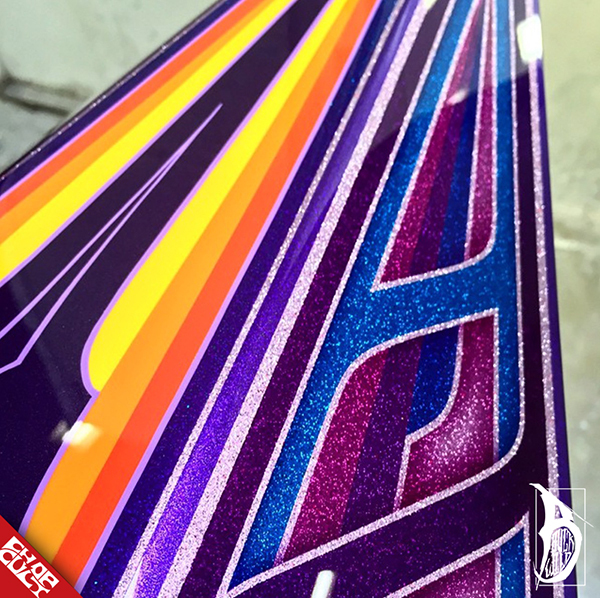 Buck continues to strive to produce quality paintwork daily and appreciates everyone that has given him work along the way. Please take a moment to meet my good friend, Buck Wild. How long has art been a part of your life? As far back as I can remember, I was always moved by colors and shapes. 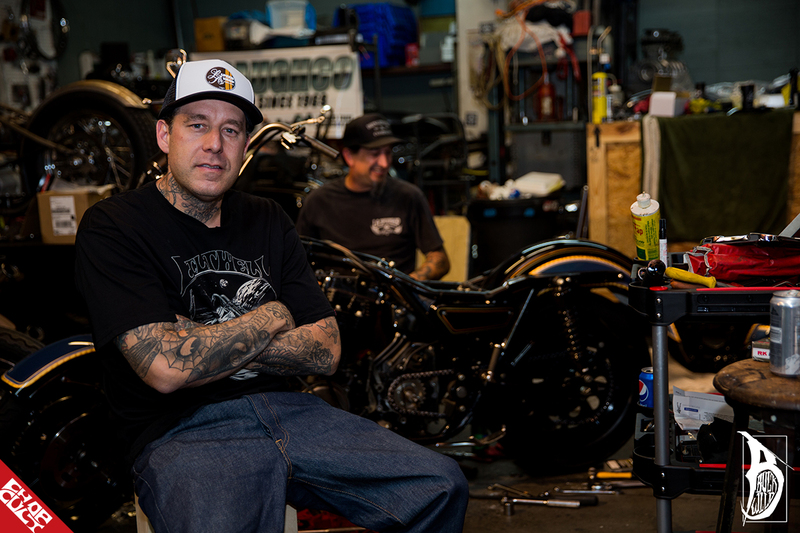 But my passion for the custom car and bike culture started when I was nine years old. While sitting at a stop light, an old white Chevy with blue flames pulled up next to me. It was love at first sight. Are you self-taught? Absolutely not! Every student must have a teacher. And I'm no exception. Do you still handdraw every design before heading to paint? It's important to me that everything I do have a very distinctive style and structure. Over the years, I have developed a very intercut method to my creative process. Hand drawn artwork integrated in with tape lines, Stripes and flakes seem to do the trick! It doesn't exactly make for a fast turnaround, but it has a very distinct look and feel. This method has made it easier for my work stand out from the crowd. If so, does your daughter still get every drawing? Absolutely! No question. I'm not going to be here forever, so It's important to me that I leave as much behind as possible. What does it mean to you when people contact you for work? I'm always grateful whenever I'm commissioned for work. Being a custom painter is not a hobby for me, This is my chosen career. Without the support of my sponsors and a very loyal customer base, I would probably be out looking for work somewhere. I have to constantly remind myself of this fact while putting in 18 hour days. But working long hours is a small price to pay to do something you love. Do you prefer to be in total control? When working with builders or customers, the first step is to get their creative input. My logic behind this is simple; it's their vision that has brought the bike to this point. My job as a painter is to simply pick up where they leave of. I then take into consideration the style of both the builder and the style of the bike. After the details have been discussed, I'm finally left alone. This is my moment to be in total control. But I'm always careful not to lose sight of the builder’s vision. This is, after all, a collaboration between the two of us. It's not one man’s opportunity to show off his ability. 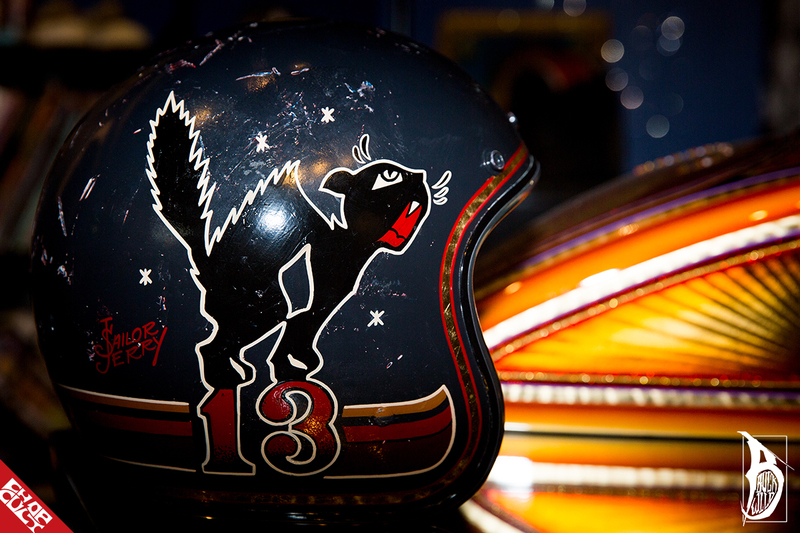 Motorcycles are more than just painted tanks and fenders. There are many other mechanical details of the bike to consider. During the paint process, I'm in total control but I never lose sight of the builder and his vision. Do you paint cars or just bikes? I only paint bikes for now. In the past, I would take on a few cars a year. But I have since decided it was best to concentrate my creative energy into just motorcycles. Having said that, for the right price anything is possible. Who inspires you in the industry? Who hasn't inspired me is the question. I have been inspired by just about everyone and everything in some way, shape, or form. Some by showing me how it should be done. Some by showing how it should absolutely not be done. Not going to name any names, but for those of us who have had the privilege of being around for any length of time, I'm sure we would all agree. There's no question why guys like Arlen Ness and Dave Perewitz are still here, while others have come and gone. Do you have anything in the works that you'd like to tell our readers about? Well, I'm very proud to say that I launched my own custom color metal flake line with Painthuffer Metal Flake. I'm sure the people are really going to love the colors we came up with. 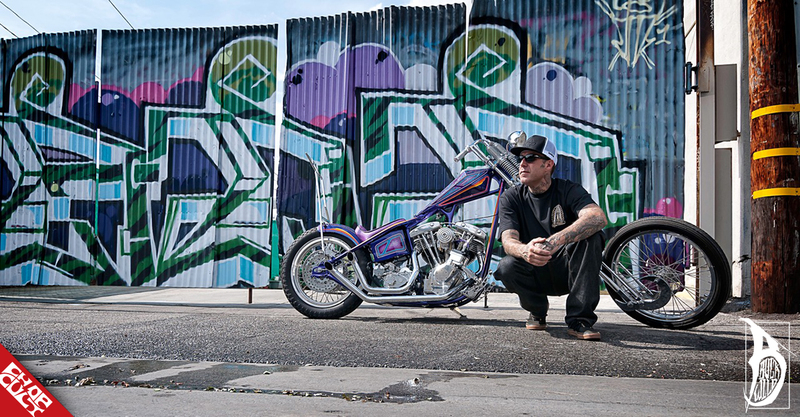 I'm also really looking forward to working in collaboration with Chris Richardson from LA Speed Shop on some big projects with Sailor Jerry Rum. 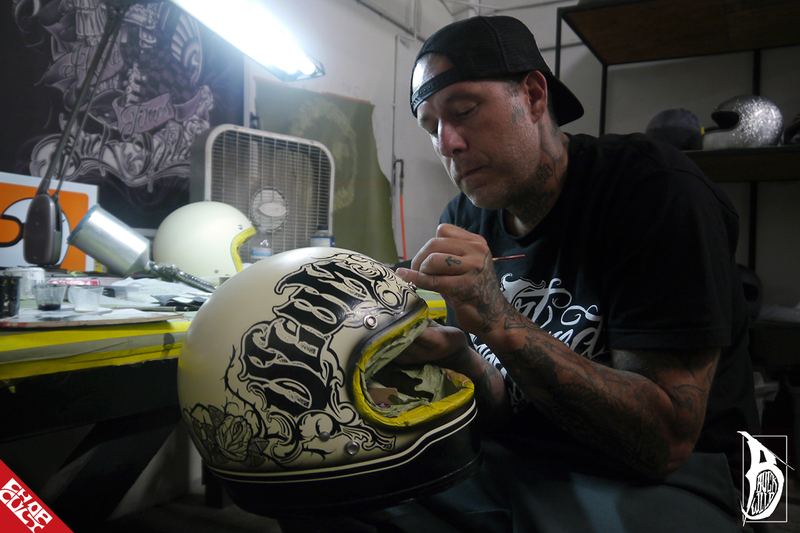 I participated in Throttle Addiction's Art and Fuel exhibit at Born Free this year and will end the year as a featured artist in Biltwell's Custom Helmet Exhibit at the Chopper Fest. Lots of irons in the fire and time will tell what the future holds. 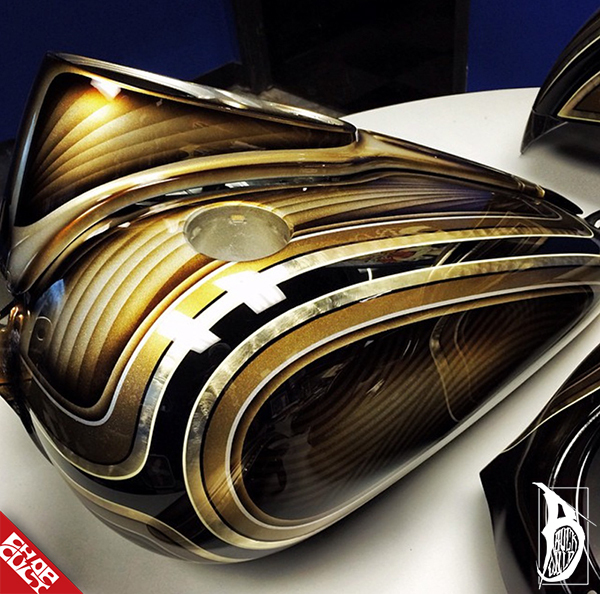 Buckwild Jim Phillips Tribute Motorcycle Tank for Born-Free 8 2016 / This video features some of the paint process that went into my Jim Phillips tribute mortocycle tank that was shown at Throttle Addiction's Art and Fuel Exhibit during Born-Free 8. Great words my friend...your art and humanity are inspiring !! !